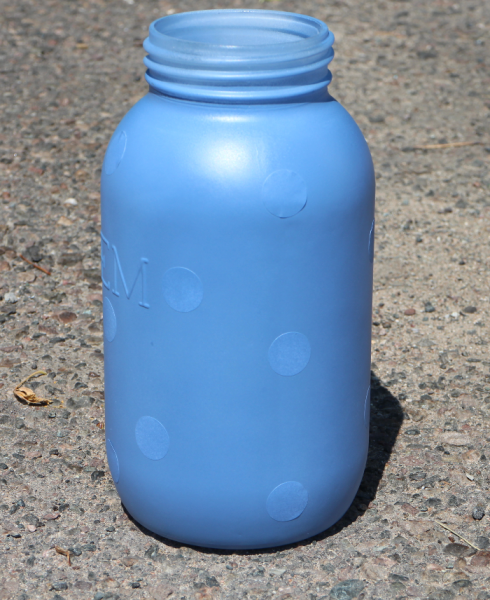 I used circle labels on the mason jar while spray painting it and then removed them when it was dry. 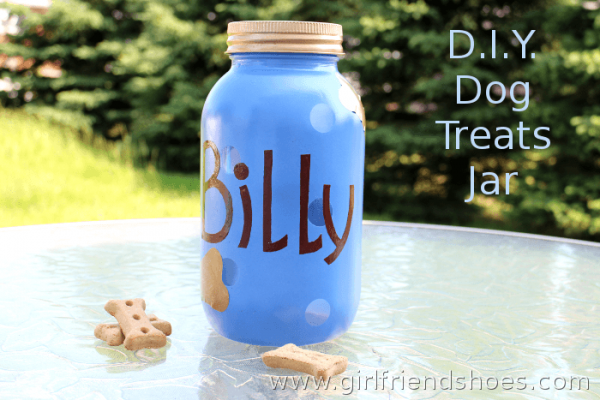 I used white vinyl for the dog bones and letters. Drew them, colored them, then cut them out with an exacto knife. When I stuck them to the jar I also used a spray adhesive for some extra stick. Afterwards, I sprayed the whole thing with an acrylic sealer so that it can be washed and not damaged. 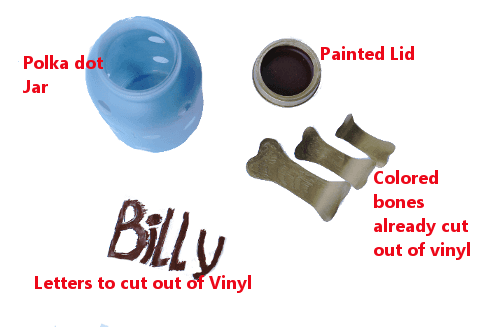 Wanna meet Billy? 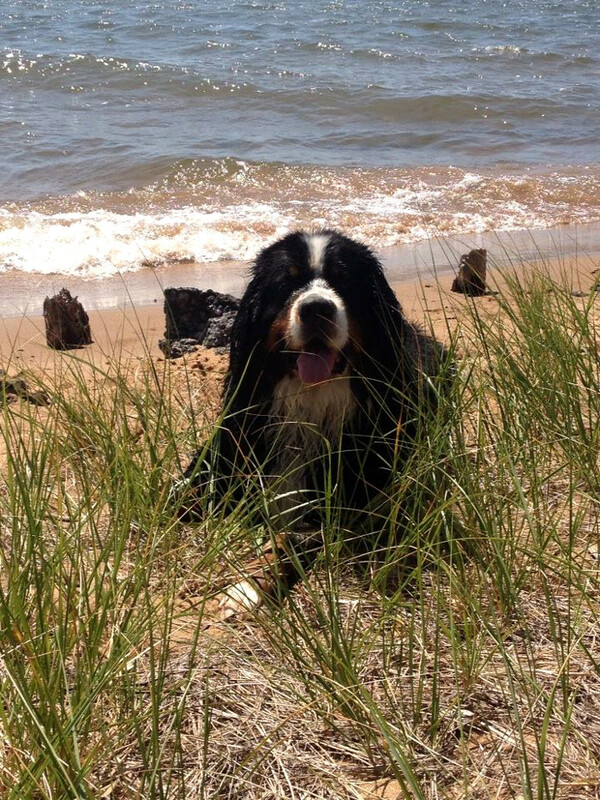 �He’s my friends big, adorable, lovable, Burnese mountain dog. I just love him. They don’t come any sweeter than him and he’s so well behaved it blows my mind! 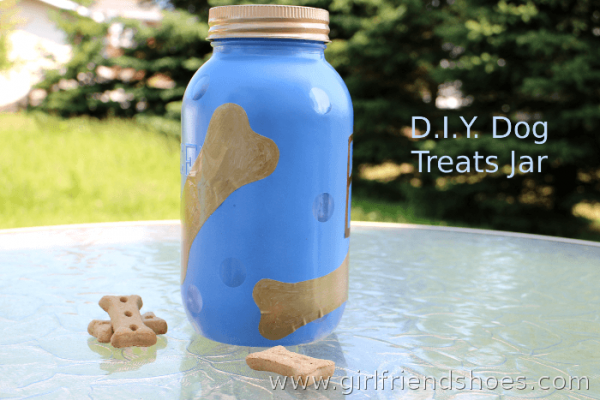 There’s some really cute Dog Treat Jar ideas on Pinterest.